For over 250 years, Audley Farm has been a part of American History. Audley was founded in 1749 when Lord Fairfax granted a 3,000 acre estate to Colonel George William Fairfax. In 1764, George Washington’s cousin, Warner Washington, bought half of the estate from Colonel Fairfax, and from that point Audley remained in the Washington family for 138 years. The most well-known of Audley’s residents was Eleanor “Nellie” Custis Lewis, the adopted daughter of George and granddaughter of Martha Washington. Her historic residence, Audley House, has been completely restored, and is now the centerpiece of Audley Farm. The historic Audley House is now available for intimate gatherings and special events including up to 50 people. 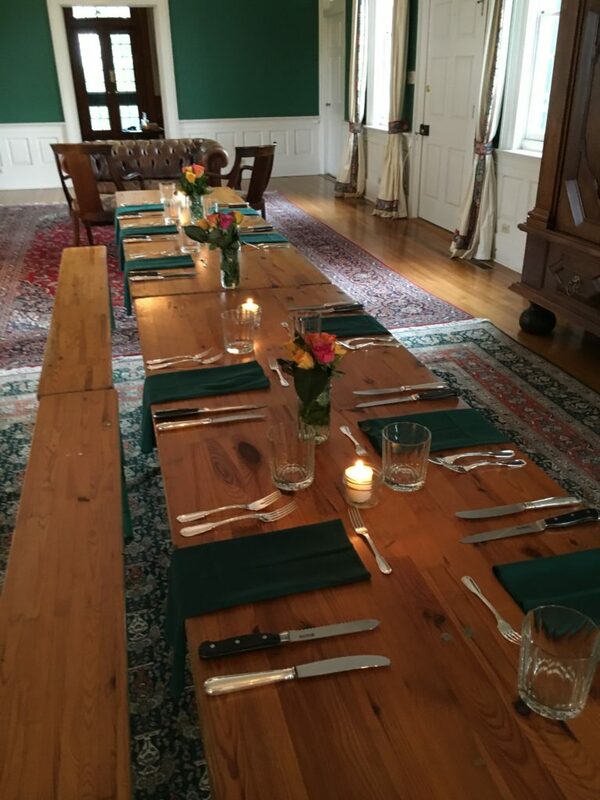 If you are seeking a location for a business meeting, company offsite, family celebration, or special birthday, the Audley House is a charming option for your needs. 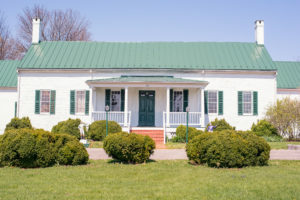 Nestled at the Northern tip of the Shenandoah Valley, the historic Audley Farm covers 3,000 acres of rolling pasture, and boasts breath-taking views of the Blue Ridge Mountains. We would be happy to set up a tour of the Audley House to give you an opportunity to see what’s available for you and your guests. We can provide additional information regarding our catering and setup options and review our policies and procedures at that time. What kind of event can you host on the farm? Who has hosted events at the farm already? What else do I need to know about hosting an event at the Audley House? Check out our Event FAQ’s page.